Recycling: look after the environment and your pocket with the eco-friendly Subaru wreckers! Did you know that you’re doing the environment a favour when you buy a recycled Subaru part from us? Not only are recycled Subaru car parts good for your pocket, but they’re good for the planet too! Choose wisely, choose a Green recycling company for your Subaru Parts requirments, Choose Strong for Subaru the proffesionals choice and the choice of those who really do care about keeping our great country green. Recycling car parts conserves resources such as oil, steel and aluminium – the base materials for most automotive parts. Recycling car parts helps reduce greenhouse gasses caused by the manufacturing of new products from raw materials. Recycling cars and car parts worldwide saves an estimated 85 MILLION barrels of oil each year. Every old car removed from New Zealand’s roads helps to keep our air cleaner. Recycled Subaru car parts fit and perform just as the manufacturer demanded, and they are 100% correct for your car because they are recycled genuine parts! The sealed Subaru wreckers yard keeps our employees and the environment safe. Waste oil and fluids are collected and recycled at our Subaru wreckers yard in Auckland. 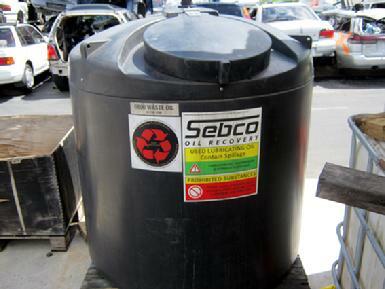 This is the washing machine that makes recycled Subaru parts look like new! 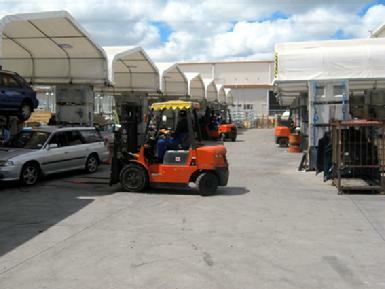 All work, vehicle storage, fluid draining and vehicle dismantling is done on our 100% sealed yard and warehouse complex in Onehunga, Auckland, NZ. We’ve made a huge investment in our business and our future to make sure we are environmentally safe in the event of any accidents. The Subaru wreckers yard has its own particle and oil separation system that prevents any accidental spillages getting into the storm water system. Plus all the work areas are covered, which keeps staff out of the sun and rain and also helps to eliminate run-off when it is raining. Waste oil is collected from vehicles and is drained into special double-walled containment vessels to ensure that there is no spillage or chances of any accident. Once full, these containers are emptied on-site by a waste oil recycling company that takes the oil away with a specialised tanker to their recycling facility in South Auckland. Waste fuel is also stored this way but is processed by filtering and then used to run our fork hoists and company vehicles. This is another way we save by recycling. Not only do we make sure we remove all contaminants safely and correctly when we dismantle our Subaru cars, we also take extra care when we clean the removed parts. 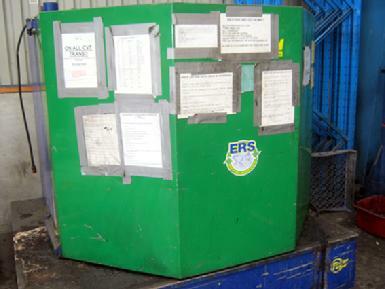 We use this completely enclosed “ERS” parts washing machine: it’s not connected to any drains and all the cleaning fluids are completely and properly contained within the machine. An approved recycling company removes all waste fluids once a month and are then recycled by them at their own recycling facility. Do you want to recycle your car at our Subaru wreckers yard in Auckland?